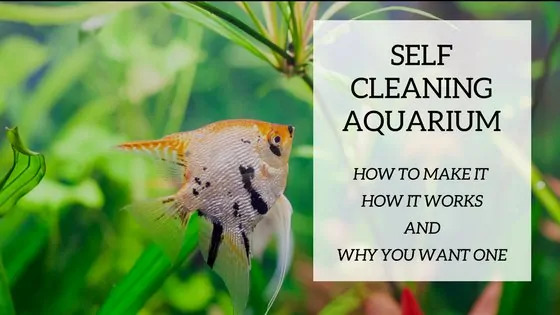 Most aquarists face algae problems at least once during their aquarium keeping days. Have you ever considered stocking with fish that clean their own tanks? Well, stocking with the best algae eaters is an approach that has pros and cons. Let’s dive into it and know more. Why do you Have Algae in Your Tank? what are the best algae eaters? 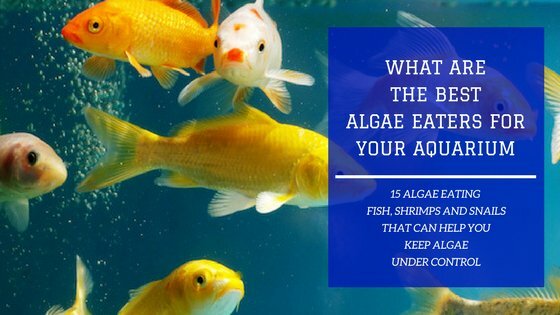 Are Algae Eaters for any type of Aquarium? Can They Survive on Algae Alone? Are you noticing colored slimy or furry things in your aquarium? Has your water turned an ugly shade of green? If so, you probably are in the midst of an unpleasant algae problem. Algae forms in different shapes and colors. If you have blue-green algae in your tank, this is most probably caused by poor water conditions. Red algae will be caused by a lack of carbon dioxide in the water. Brown algae will inform you that there is inadequate light in your tank, and green algae will be created because there is either too much light in your aquarium or too much dissolved waste. In any case, you need to face and solve the problem as soon as it appears. You can also be preventative and do something before it even becomes a problem. One of the easiest and fun ways to help with this situation is to add algae eating fish to your tank. 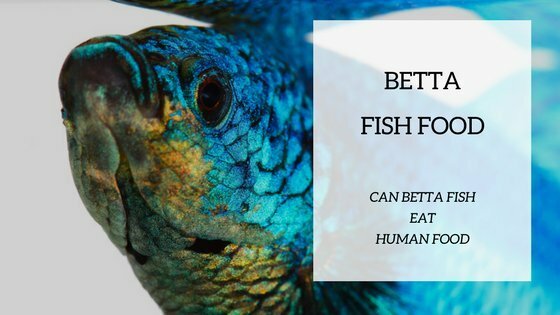 There are other ways to help with this shortcoming, but in this article we will look into freshwater fish that clean their own tanks. Some fish species, and also shrimps and snails, thrive on the algae that is formed in aquariums, here is why they are commonly referred to as algae eaters. These algae can negatively affect your water and cause unhealthy situations for your other fish but not for these guys. Their main meal consists of chowing down on all that colored slimy and furry stuff. This is a very safe and natural way to keep this problem under control in your tank, and you get extra living creatures to look at. Not all algae eaters eat all types of algae, it is important to pinpoint the type of algae you have in order to get the right fish or invertebrate to help your particular situation. is always a good idea and they are nice to have in any aquarium. When planning your fish population, it makes sense to add a few of these guys. They are actually quite interesting to look at and to take care of. There is no need to purchase them for the sole purpose of keeping algae out of your aquarium. You can add them for visual reasons and watch them grow and interact. As all fish that you will add to your habitat, make sure to research the species to be certain that they co-habitate well with the other types in the tank or that they don’t grow too big at full adult size. 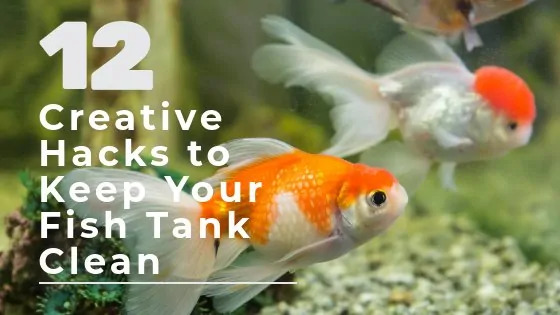 Some of these are known to grow fairly large and this needs to be kept into consideration in regards to the size of your tank. So to answer the question, are they necessary, probably not because there are other ways to control algae, but they sure are an added enjoyable benefit. Most algae eaters like to live in fast flowing waters. They will do better in high flow aquariums. Like any other fish purchasing experience, research needs to be done before heading out to the fish store. There has to be compatibility between your species otherwise you will have stressed out and unhealthy fish. Some bigger fish will want to make a meal out of certain algae eaters. You can put fish and invertebrates in freshwater and saltwater aquariums to help with the algae cleanup. Any size aquarium will benefit from having algae eating fish, but be sure to know the adult size of the fish you are getting. Make sure that you know what you are getting. Some of the most popular algae eating fish species like the plecos can get pretty large. This is essential in order to maintain a healthy tank. The best algae eaters for you are those that get on well with your existing live stocking. Not only do you have to keep your water clean and algae free, the inhabitants need to get along with each other well. Make sure that you know that the eaters you are putting in will not be bullied by other species. Snails and shrimp may get eaten by larger fish, and some plecos are territorial and are not recommended to live in communities. Unless you have a very algae prone tank that can keep the chompers satiated, you may need to supplement with food for your algae eating fish and invertebrates if they don’t get enough nutrition from cleaning your tank. Depending on the number of eaters you put in your tank, they may need to be fed extra food like wafers. Keep an eye on them and look for signs that they are not as active as they should be. We have prepared a list of 15 algae eaters. We have included not only fish but also shrimps and snails as they are a valid option and can add some more variety to your stocking. 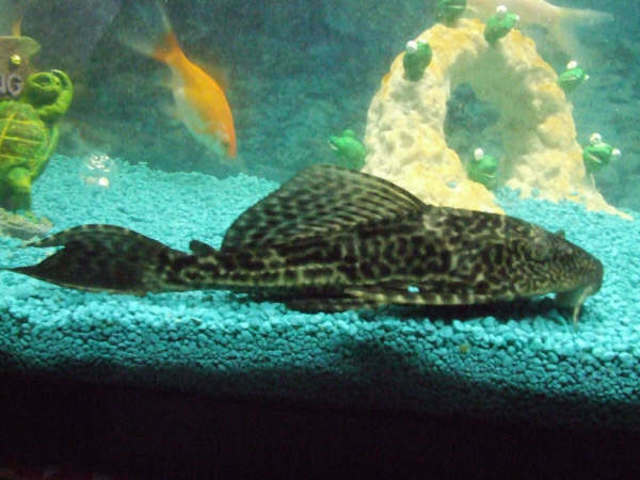 Pleco is the word we use to name a fish that is in the suckermouth catfish family. 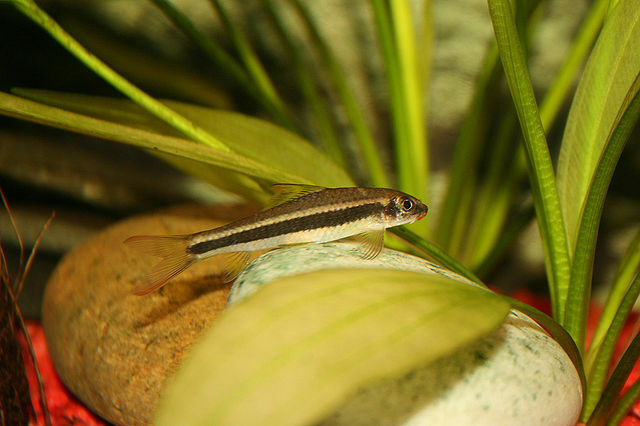 It is, by far, the most common algae eater amongst aquarists. The Common Pleco which is one of the most sold plecos on the market can grow to be pretty large, so this needs to be taken into consideration. Fish stores sell them small and very inexpensive, but they grow fast and sometimes very big. They eat mostly green surface algae growth and are excellent window cleaners. If you have a smallish tank, you may want to consider the clown pleco or the bushynose pleco, as these types don’t grow as big as the common pleco. The clown pleco has a distinctive striped pattern and the bushynose grows tentacles on its face. They are not all that pretty, but they keep the aquarium windows very clean and are quite entertaining. Otos are also part of the suckermouth family. 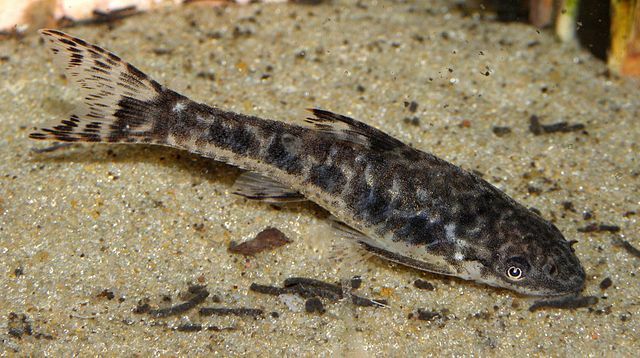 They are also called pygmy suckermouths and as their name states, they are a lot smaller then their pleco counterpart. They grow to be about two inches and, unlike the plecos, prefer to live in schools with others. You will want to purchase two or three to keep them happy. They will eat the algae growth on the windows, but also on the leaves and other decorations that are in your aquarium. They are small and can get into smaller spaces that plecos can’t normally get to. 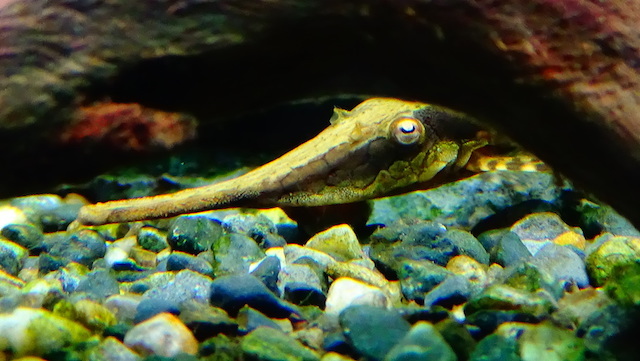 This is another great algae eater that you may want to consider to keep your tank clean. They are voracious eaters and very good swimmers. They eat all types of algae, even the thread and brush. This fish is sometimes mistaken for the Flying Fox fish in fish stores. The thing that distinguishes this fish form the others is its horizontal stripe running down its body. 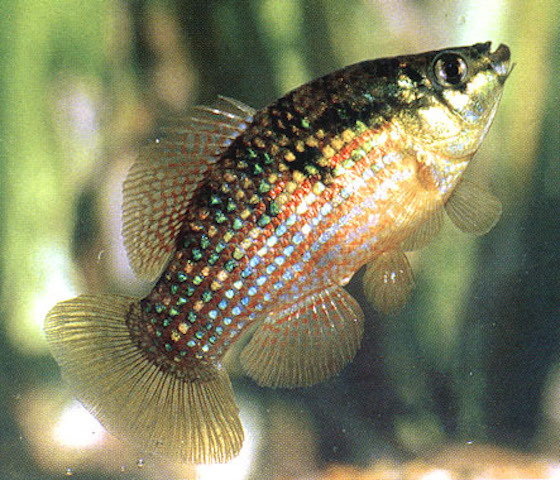 Here is an interesting article that goes deeper into the proper identification of this fish. The Twig Catfish is a slender, brown fish that averages four to eight inches in length. They eat all algae and it is recommended that you supplement their diet with algae tablets a few times a week. They do well in larger tanks with aged water that have a lot of plants and wood, as they enjoy hanging out in these places. They do well with most fish except the Cichlids and Barbs that may harm them. These are quite interesting to look at and they like to live in groups. They aren’t a suckerfish but rather a forager. They are omnivorous so they sometimes enjoy the occasional live treat like bloodworms or brine shrimp. This is another fish that sometimes gets confused with the Flying Fox and the Siamese Algae Eater. The stripes do not run across to the tail and that is one thing that makes it different from the others. This is a very colorful algea eater fish. It adds a very nice visual touch to your habitat all the while providing algae maintenance. It needs a space that contains a lot of hiding spaces like plants, driftwood, or rocks. Black mollies are very popular in the aquarist world. They are omnivores, and eat green algae that may form in your tank. They are excellent scavengers and will also eat the beard algae. They are peaceful fish that like to live in large communities and preferably in a medium sized aquarium. Snails and shrimp are also other good options for your algae control. They do a very good job at eating algae and also food leftovers and other debris in your tank. Shrimp can sometimes become dinner for other larger fish, so care needs to be taken when choosing tank mates. These snails are very small and have shells that resemble a ram’s horn. They are either brown or red. They eat all algae on plants, decorations, and rocks. They will also eat leftover food and other debris in the tank. 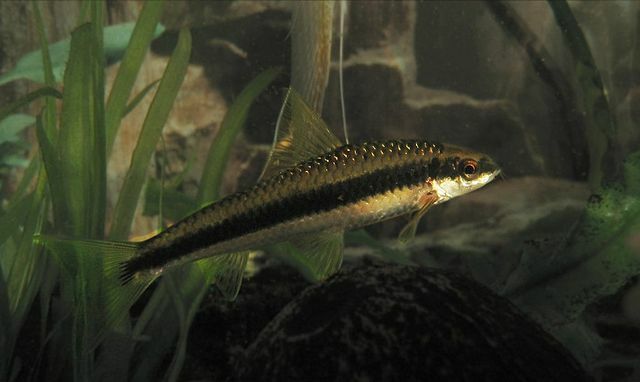 Some fish like Cichlids and Loaches may eat the small snail. 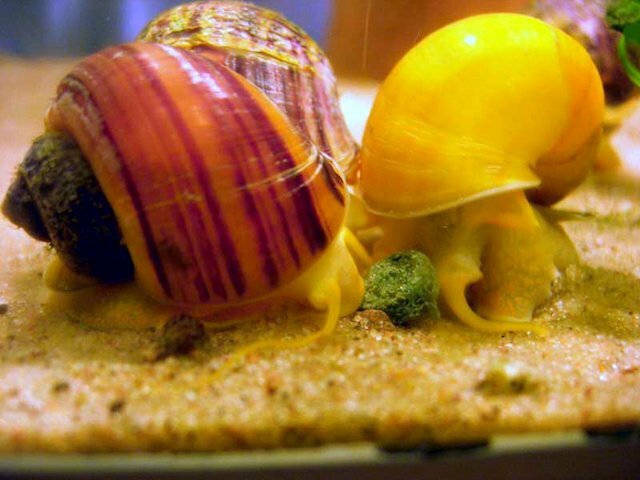 These snails are excellent at cleaning detritus from the aquarium substrate. They are detrivores and eat plant and protein matter. They plow through the substrate thus airing it for the plants. You only need one to breed more, so population may become invasive. 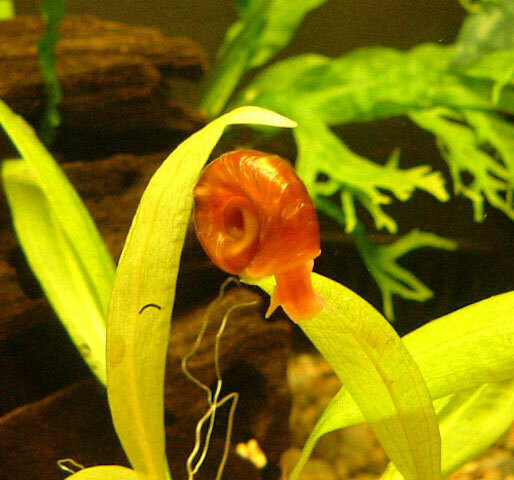 Mystery snails grow to be quite large and devour anything algae, leftover food, or detritus in your tank. They are true detrivores. They are very interesting to watch with their antennas, leaving tracks as they go. 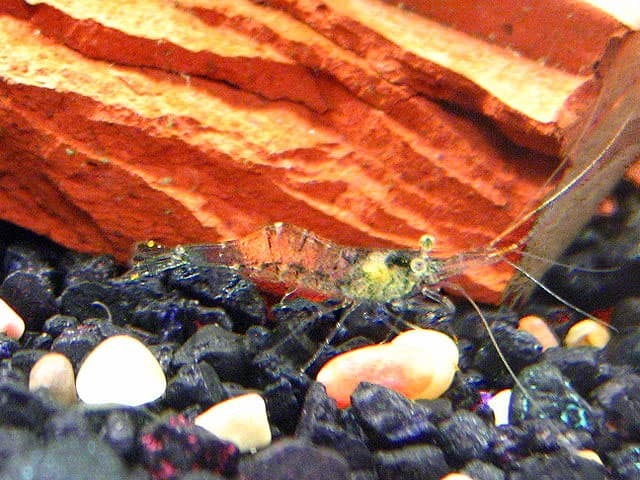 Amano shrimps are the most popular shrimp in the aquarist’s world. They eat everything from algae to left over food stuff. They do well in tanks with smaller, non-aggressive fish, as shrimp can become a meal to the larger fish. They don’t grow very big, about two inches maximum and they like to be on groups. You will want to put about three or more individuals into your aquarium. If you have live plants in your tank and use fertilizer, you will want to take extra care because of the copper contained in these fertilizers. These shrimp are inexpensive and easy to care for. They are excellent scavengers and will feed on any leftover food in your aquarium. They are also called glass shrimp because they are transparent. An ideal setting for them is one with lots of hiding places, like plants. 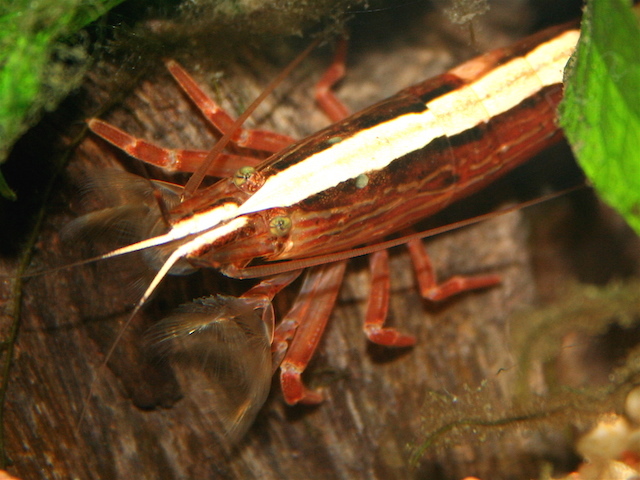 This shrimp is also sometimes called the rock, parasol, fan, or bamboo shrimp. 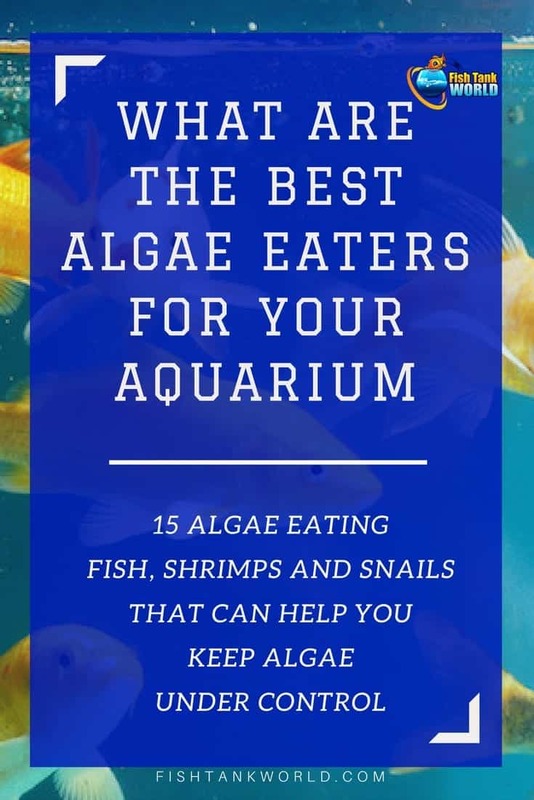 It is the only algae eater on this list that will eat blue-green algae. 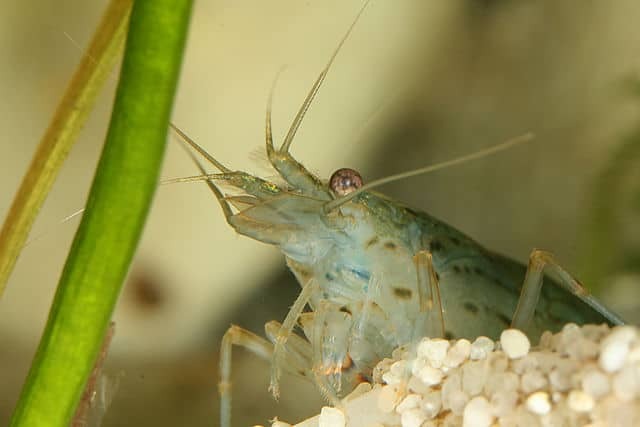 The front claws that are usual for shrimp resemble more like fans. They filter feed through he microorganisms in the water. 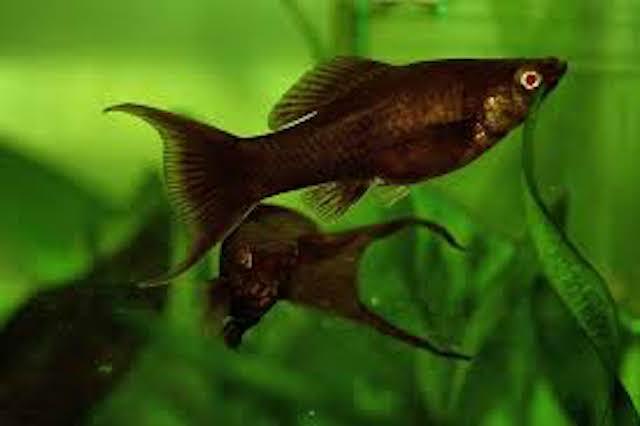 Adding algae eater fish to your aquarium comes down to a personal choice. It is a fun way to address an existing problem or to try to avoid one. Remember that you may have to supplement with food if algae are not present enough in your tank. There are several debates about whether they are necessary or not, we feel like they are a great addition! When researched and well chosen, they will definitely enhance your aquarium.